No time for a quick touchup? You can still get rid of that unwanted shine on your T-zone without leaving your desk. Just stuff your purse with a few Starbucks napkins while enjoying your double espresso and you can utilize them to blot away the excess oil from your face gently during the working hours. No need of keeping blotting sheets handy, going to the restroom and standing in front of the mirror to do the job. Coffee filter papers or any other brown, recycled papers will also work as free blotting papers anytime! You desperately want to look trendy at your workplace by wearing a cool-girl smoky eye makeup. But, oh damn! Time ditch you always. Well, forget the concept of applying and smudging eye shadow to look like a sultry siren. All you need to do is sweep the eyeliner along both of your lash lines hastily (We mean it! The messier, the better, in fact), and smudge it out with your ring finger. Now, start counting…one, two, three,…, ten, and you are done! We know, girls! 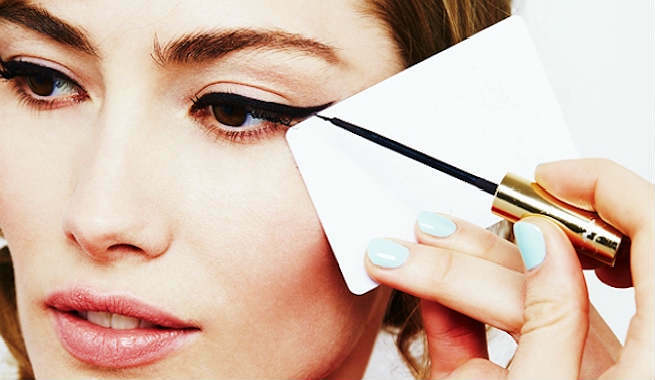 Your love for winged eyes and your struggle to master it – both! Creating perfect wings for eyes is undoubtedly difficult and it is also pretty much time-consuming. But we have the best suggestion for you to win the battle. Apply the eyeliner along your upper lash line in three small dots and connect them together. Your smooth wing is ready! You can also make use of the edge of a business card or the curve of a spoon for the same effects. Yes, we are talking about your beautiful locks that are always deprived of your love, care, and pampering. Thanks to your super busy schedule. Though bringing life back to your hair is possible only if you go for a very long salon session, it is absolutely not essential for adding a touch of glam to your locks. In fact, it does not involve the regular practice of hair washing too. Simply toss a mini bottle of hair powder into your purse and it will serve as a dry shampoo whenever you need it. Add texture, create volume, and become ‘lively’ from ‘limp’. Flyaways can kill your ‘presentable’ look and make you comb your hair every now and then at work. Quite a wastage of time, don’t you think so? Well, you need a few simple tricks in your life. Start with drying your locks with the help of a cotton t-shirt. It will soak up more water in less time without causing too many frizzes. Next, spritz some hair spray on your bobby pins prior to putting them in. It will keep your hairstyle in place. Finally, tame the stubborn baby hair along your hairline gently with a soft toothbrush. No matter how pigmented your lip color is, it will fade away over time. If you hate those lipstick marks on your coffee cups but don’t get enough time to reapply it, just follow a simple trick to make it long-lasting. 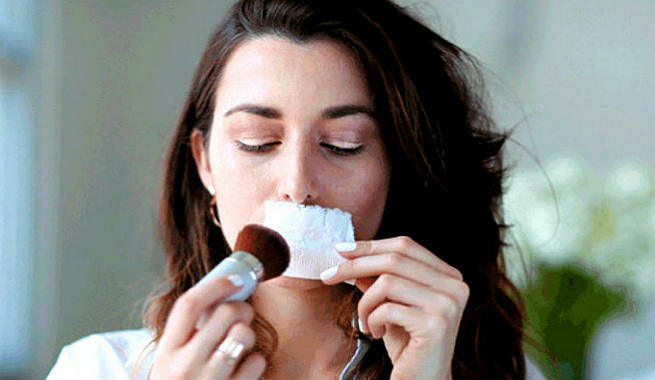 Once you are done with the application of lip color, take a tissue and hold it over your pout firmly, apply a coat of translucent powder over the tissue with a large fluffy brush, and voila! Your lipstick is now absolutely smudge-proof and you have no need to keep it checking in between your meetings anymore. Hair thinning is one of the most common issues around the world and many of us need to spend a lot of time hiding our wide part. It’s really tough to create new hairstyles every day to volumize the hair, especially when there is a time constraint. Hence, simply dust some eye shadow (choose a shade that is almost similar to the original color of your color) on your part and it will look add depth locks immediately. You have just saved a lot of time for juggling your work and your beauty regimen more efficiently. So, it is time to be more productive while looking gorgeous, isn’t it?